I don’t think I truly appreciated Dr. Spock in my youth, at least not until Star Trek: The Undiscovered Country. But he has always been a recognizable part of my life, from voicing Galvatron in the Transformers Movie, to playing William Bell in Fringe. 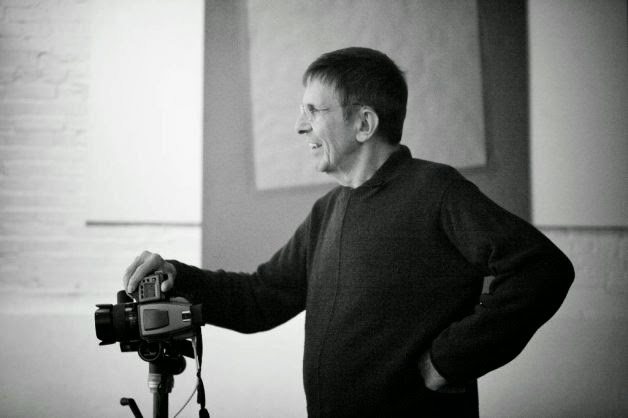 He’ll always be Mr. Spock to me, but somewhere along the way, I discovered his photography work and realized that he was so more than just an actor on screen. Photography is one of my secret passions, though I have no talent for it myself. I love photographers who can capture the essence of a person through their images, and I find that through those images, the photographer reveals something of themselves, as well. Mr. Nimoy captured such intimacy and beauty in his work, and presented each image with an elegant simplicity, compassion, and respect.